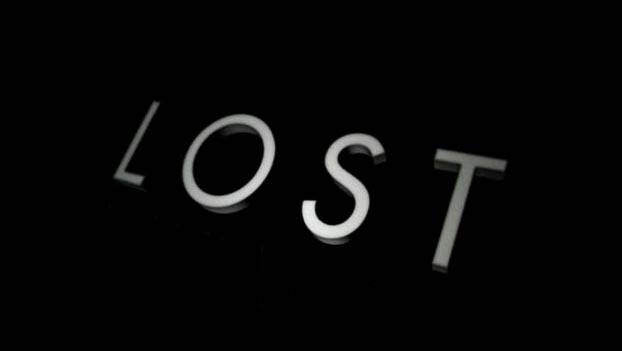 It’s been about two months since the Lost finale aired, two long months in between blogging. I’m not sure what you call that except maybe, bad blogging. Even though Lost has been over for awhile, I can’t let it end without commenting one last time. It was such a big part of my tv life and I’m sad it’s gone. Its noticeable absence from San Diego Comic Con was one of the first signs that it really is over. So, what about that finale? As an episode of television it was great; as a series finale, one that resonates, redeems characters, and retains some mystery it was brilliant; as the final word, that last chance for fans to understand the mythology that is Lost, well, on that point, I gotta say, it sucked. Well tonight (or tomorrow morning for those of us across the pond) is it: the end of Lost. The end of polar bears and time travel (on the same island), and an end to a particular-type of WTF moments. For me personally, so much has changed in the 5.5 years since lost debuted in 2004, it is amazing to think that I went from De Soto, MO to Leavenworth, KS, to Kingston, Jamaica, and London, England. From Cingular, to Saint Mary, to Big Brothers Big Sisters, to UTech & Roehampton, Starbucks, and the National Union of Students. Wow. Lost has truly been my ‘constant’ for a whole lot of change and jumping around the world (and even and island or two). It’s the one show that I never miss, that I have to see as soon as I can. I’m probably more than just a little unreasonably sad about it ending, but when a show has been with you for all that change, when it’s helped me make new friends, and when I’ve spent some great evenings watching it with old ones, it’s sad to see it go. I have high hopes for the finale, that in the end it will be fantastic and fun and yes, I really hope we’ll get some answers (they really need to mention Walt). I know they can’t possibly answer everything I want, but if it’s done well, that’s okay. So, instead of focussing on what they better show me, I just want to briefly reflect on what they already have, in my favorite epsiodes. After the most recent Lost outing, the final season of the show about an island, is down to seven episodes. We are at the beginning of the very end my friends, and in about 6 weeks we’ll have to say good-bye to one of the most interesting, spooky, suspenseful, and confusing shows ever. As we push forward to the end, let’s take a step back to see where we are. 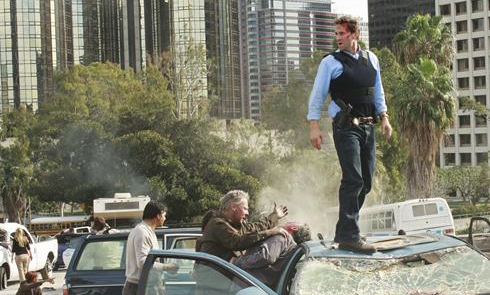 Instead of flashbacks or flashforwards, we are in some sort of ‘sideways world’ (as coined by Doc Jensen), a sort of altera-universe where Flight 815 didn’t crash, but made it all the way to L.A. Our characters are still intrinsically linked in our sideways world–while each episode focuses on one character, there are several interactions between each other. I guess these people just belong together. Lost kicks off its sixth and final season tonight in the United States, and Friday in the United Kingdom, when I will be watching. And yes, it is going to be nearly impossible for me to wait that long, and I will have to stay far away from the internets in order to avoid being spoiled. Because, man, I don’t want to be within 100 feet of a spoiler. I ready to enjoy watching the dominoes fall, and the connections made as I watch the answers to about a billion mysteries come. Or not come, as I suspect. Before we enjoy the last season, I thought I’d call attention to ten of of my favorite moments. Interestingly, Lost is not a show I’ve watched over and over like some others, so these moments are the ones that truly stand out. I remember the main points, but some of the finer ones may have been lost. (he he) (As an aside, I have some theories on why I haven’t watched them multiple times, the main one being that, for me, it’s the reveal that makes Lost, so once you’ve seen the reveal it’s not as much fun. ) Anyway, without further fanfare here are my 10 favorite moments, in no particular order, after the jump. The latest show to catch my eye is the new American drama, from ABC (shown on FIVE in the UK)Flash Forward. The basics of the story are that everyone on the planet blacks out for 2 minutes and some odd seconds at the same time, and during this time most (not quite all, or so we have been led to believe at this point) people saw flashes of some future event roughly six months in the future. Everything is in chaos when they wake up, as you’d suspect and people are wondering what now? Why did this happen? Can those that saw great futures ensure they happen, and can those that had not so great futures stop them? Flash Forward has all the elements that generally catch my eye in a tv show: an intriguing and mysterious hook with a seemingly sci-fi twist, attractive actors, great cinematography, and decent writing. Plus, the very famous Jett Jackson, of course. The questions is: haven’t I seen this all before? After a very long break I am back! I apologise for being gone for so long. The short explanation as to why I’ve been gone is that I was spending nearly all of my free time applying to jobs, and after spending hours writing applications I just didn’t have any thoughts in my brain. Also, I wasn’t really watching much television, which is a problem for a blog about TV. As for why I have now emerged the easy answer is: I found a job in London. So, while I be working a full-time schedule, my free time is now mine again. Finally. Watching these will of course depend much on how easily I can access them, as well as how much time I ultimately have. I love television, but I won’t spend ALL of my free time watching it. At least, it won’t be healthy for me to do that. The two shows I have been able to watch are Lost (I’ve seen the whole season) and Battlestar Galactica (just three more episodes in the series to go for me. I think I haven’t finished them as I don’t want it to actually be over). So, I will be writing some thoughts on those, most likely making me the slowest blogger on television in the land. I have some other posts in the works as well, and I hope to do my part in making this an actual working blog. BSG is here! Lost is almost here! The last season of Battlestar Galactica got underway yesterday in the States, and while I haven’t seen it yet, I hope to soon. I just need to find it (in ways we aren’t going to speak of), and then we’ll chat. Lost starts up next week for its penultimate season, and let’s just say, I CAN NOT WAIT. I have already purchased my Season’s Pass on iTunes (thanks in large part to a gift card someone gave me), and am ready for the shows to begin downloading. Let’s hope iTunes is better at it this year, than they were last season. I love both of these shows for their suspense, their quest for answers, and let’s face it, for their sci-fi-ness. I haven’t opined a great deal about these two shows, other than that I love them. I’m going rectify that (hopefully) each week as I see the new episodes, and try and explain what it is that is great about them. Maybe I can even get some of you who won’t watch BSG because you think that people in space is just where you have to draw your sci-fi line, to change your mind. I’m also looking forward to the new Joss Whedon show, Dollhouse, and seeing if it lives up to Buffy, Firefly, and Angel. A lot more to come as the real tv season for me heats up! Of all the complaints I may or may not have about the United States, one thing is for sure: we make great television. From writing, acting, execution, location, down to the general look we have definitely set the standard of TV. Don’t misunderstand (or is that ‘misunderestimate?’) me. I like television from other countries, BBC America for one, has shown some of the best of British TV (Life on Mars, Dr. Who, Coupling, etc). I certainly don’t like American TV at the expense of other TV…I am an equal opportunity television watcher. But, what’s difficult, is trying to watch that great, well-made American television when you are in a foreign land, without actually owning a TV. Yes, my friends, a (new) television blogger without a TV. I swear it is not because I’m one of those people (you know the kind) who say, “I don’t watch TV” or “I have no need for a television.” No, it is because I am a poor graduate student living in London, who can’t afford that TV.